If you haven’t seen this show yet, whatcha waiting for? Current shows SPRING 2019 are TBA, Ya’ll. Her life was like a country song. It was 1990 and Mindy McCready was a 15-year-old girl who loved to sing. She was the karaoke queen in Fort Myers, Florida. By the age of 20, with her astonishing talent, she had a No. 1 hit, and her first album sold over two million copies. She got engaged to Superman (actor Dean Cain), and was singing alongside some of country’s megastars. Her demons, along with a smattering of sycophants, trailed her. As her personal struggles intensified, her record sales dwindled. She fought depression, abused drugs and alcohol, fraudulently obtained painkillers, and a fellow country singer with whom she had a son, was imprisoned for attempting to murder her. Her efforts at reigniting her career floundered as she found herself in a custody battle with her mother over her son. She served brief jail sentences in 2007 and 2008 for probation violations, and subsequently tried to kill herself multiple times. Mindy settled down with her “soulmate,” music producer David Wilson, in the rural town of Heber Springs, Arkansas, and they had a son. On February 17, 2013, she was found dead on the front porch of her house, of what the police said appeared to be a self-inflicted gunshot wound. She was 37. Three weeks earlier, David Wilson was found dead on the porch in the exact same chair from a gunshot wound. The circumstances of his death remain a mystery. 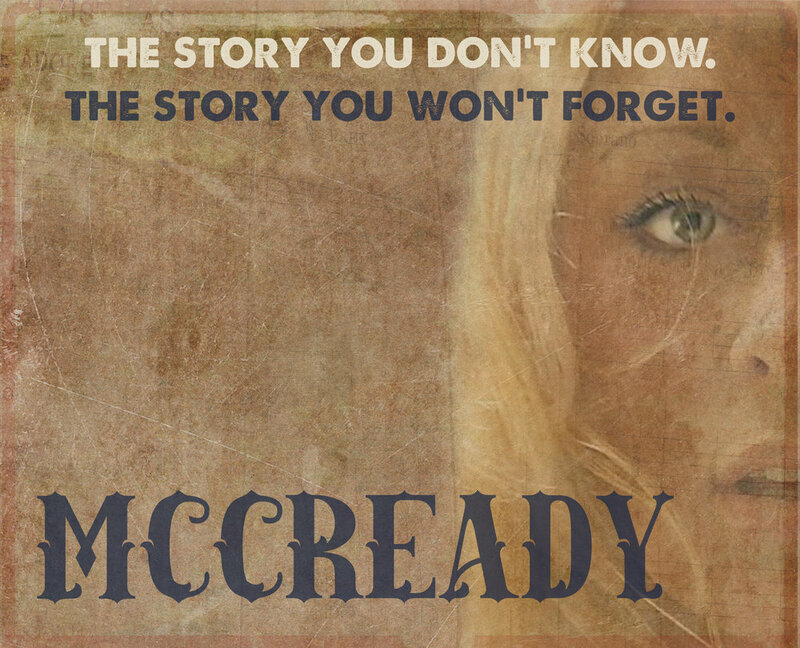 Mindy McCready’s wild life and untimely death is the stuff of legend. This is our tribute to her legacy. Lance Bass invited the cast to perform on his Sirius Radio show, Dirty Pop, in May 2015. Jim Bianco, Jennifer Blake, Brady Harris and Michael Ursu. A fateful meeting over coffee between Jennifer Blake and Jon Bernstein occurred in the fall of 2014. Over those two Little Dom's' coffees, the new musical story of Mindy McCready was conceived. The premiere/workshop production of McCready ran from May 8th- June 12th, 2015, at Spirit Studio in Silverlake, with Jim Bianco, Jennifer Blake, Brady Harris, Clinton Pickens, and Michael Ursu; directed by Jon Bernstein, musical arrangements by Brady Harris and Jennifer Blake; produced by Jennifer Blake. The Hollywood Fringe Festival production of McCready ran from June 4th- June 26th, 2016, at the Dragonfly, with Jennifer Blake, Zack Cosby, Robert Hardin, Craig Umhoefer, and Michael Ursu; directed by Robert Decker; musical rehearsal director Michael Ursu; produced by Jennifer Blake. Off-Broadway run of McCready, The Triad Theatre, September 2016, with Jennifer Blake, Zack Cosby, Robert Hardin, Craig Umhoefer, and Michael Ursu; directed by Robert Decker; musical direction by Brady Harris and Michael Ursu; co-produced by Jennifer Blake and James Mase.